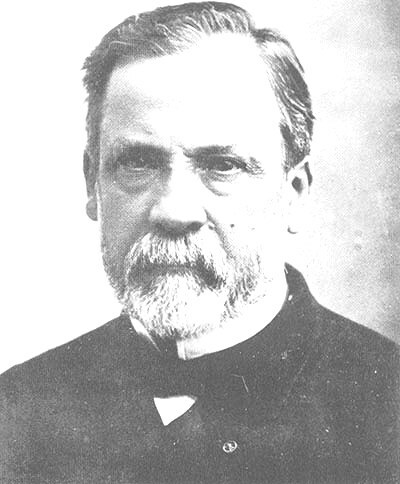 Louis Pasteur (pahs TOOR) was born to a tanner, Jean Joseph Pasteur and his wife Jeanne in France in the ancient town of Dole. His father had been a soldier in Napoleon's army. They sent Louis to a school in Arbois (Ahr-bwah) when he was six. He enjoyed drawing portraits of his family and friends. At that time his skill seemed to be in the field of art without a hint of his future fame as a scientist. After he graduated he went to the Royal College in Besancon (bih zan SAH(N) where he earned his B.A. and then a Bachelor of Science degree two years later at the age of twenty. In 1847 he received a doctorate degree and became a professor at age twenty-six. He fell in love with and married Marie Laurent and they had five children, but only two of them survived. He began to study fermentation and how it related to alcoholic drinks. His research led to the process of pasteurization* of milk to kill viruses and harmful bacteria. 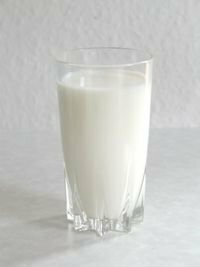 The milk is not heated to the boiling point which would change the flavor, but is heated to a temperature sufficient to kill the bacteria which would cause it spoil easily or cause disease. It is then chilled and must be kept cold until used. He named the new science bacteriology* and suggested a new theory, The Germ Theory of Disease. He believed that diseases were caused by germs attacking the body from the outside. The raising of silkworms was a large industry in France at that time. People raised them in their homes or in large sheds. The silk worms constantly ate mulberry leaves, so the owners would even get up in the night to feed them. The silkworm would spin a cocoon and become a chrysalis. Then the cocoons were put in a steam stove, dried in the sun and handed over to the weavers to unravel the silk threads. Each cocoon would be composed of a single silk thread 1000-3000 feet long. A few of the cocoons would be saved to develop into the moths which lay the eggs which hatched into silkworms and start the cycle all over again. In 1849 the worms were hit with a disease and began to die. It first started in France and spread worldwide to every country except Japan. In 1865 at the request of the government Pasteur performed experiments to find the cause of the malady. Using the microscope he determined that corpuscles in the infected worms were causing them to die. The worms would infect each other. He helped the growers to find a way to isolate and then use eggs that were not infected. At the end of this arduous* task he suffered a stroke and paralysis. For several months he was completely paralyzed. He was only 45 years old. After two years he began to recover the use of his body. His next task was to try and find the cause of disease in the body. He developed a vaccine for a disease in chickens, fowl cholera, and a disease in animals, splenic fever. After proving its success he began to prepare a vaccine for large numbers of animals and by 1883 the number of animals vaccinated against the disease called anthrax* reached nearly 500,000. Pasteur devoted the rest of his life developing vaccines for people against such diseases as cholera, diphtheria, tuberculosis and smallpox. The idea of immunization* with a weakened version of a disease was not new. 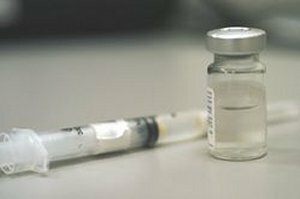 As early as 1774 a vaccine for smallpox* had been discovered, and Edward Jenner before 1800 was vaccinating people against smallpox. He found that if he inoculated people with cowpox, they got the less severe disease which prevented them from getting smallpox. 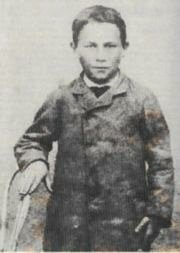 He is especially remembered for the case in which he vaccinated* a nine-year-old boy, Joseph Meister, who had been bitten by a dog that had rabies. * The boy recovered after receiving the vaccine from Pasteur. When he grew up he became a caretaker at the Pasteur Institute. Thousands of people since that time have received rabies vaccinations and been saved from getting the disease which is almost always fatal. The Pasteur Institute was founded in 1888 in Paris. When he died he was buried there in a fine tomb. Word History: Toward the end of the 18th century, Edward Jenner, an English physician, made an important discovery. He observed that dairymaids who had the disease cowpox did not get smallpox, a much more serious disease. Working from this observation, he injected a person with material taken from another person's cowpox sores. He found out that this injection protected that person against the dreaded smallpox. Press "Go" to search for books about Louis Pasteur. this is a fantastic site! This was a helpful resource but please put the copyright info on there!! This page displayed 299,615 times.